Nick grew up in south St. Louis playing youth soccer with the Busch Soccer Club. 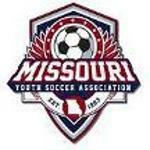 His team captured the U13 and U14 Missouri State Cup championships. Nick went on to play at St. Mary's High School. During each of his three seasons on the varsity team, St. Mary's advanced to the state semi-finals. In 1995, Nick's senior year, St. Mary's captured the state championship. He was the captain and leading scorer on the '95 squad. Nick was also named to the All Metro First Team and selected as Player of the Year in the AAA Conference. The 1995 soccer team was recently inducted into the St. Mary's High School Hall of Fame. Moving up Grand Avenue, Nick attended St. Louis University on a combination athletic and academic scholarship. He played four seasons with the Billikens. Nick was named to the Conference USA All Freshmen team in 1996. In 1997, the Billikens advanced to the NCAA Final Four. After his graduation from SLU, Nick continued to play with the Busch Soccer Club men's team. The men's team captured 10 straight Missouri Open Cup and Amateur Cup titles between 1998 and 2007. In 2008, Nick played with the Scott Gallagher O-30 men's team, which captured the USSF National 0-30 Championship. Then the same squad, playing under the AJAX SC banner, captured two more USSF National 0-30 Championships in 2010 and 2011. Nick started coaching when he was only 16 years old at Busch Soccer Club summer camps. In 1998, he served as Scott McDoniel's assistant coach, when the BSC U-16 boy's team captured the midwest regional championship, advancing to the national finals. He also served as the assistant varsity coach at St. Mary's High School between 2005 and 2007. Nick is married to Katie (Stewart) Bokern, who also played four seasons at St. Louis University with the women's soccer team. 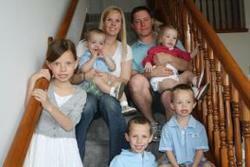 They have five children, Maddie, Michael, Bradley, Lauren, and Joseph. Nick and Katie live the "AJAX" philosophy as their children participate in soccer, volleyball, baseball, basketball and golf while maintaining excellent grade point averages. ©2019 Ajax St. Louis / SportsEngine. All Rights Reserved.